As the body’s largest and fastest-growing organ, skin is incredibly important. Unlike many “problem areas,” including love handles at the midsection and spots, scars and other imperfections on various parts of the body, there’s no way to keep skin completely under wraps. With that in mind, it pays to take good care of it. When skin is properly nourished and cared for, it can make a person look a lot younger than they are. On the other hand, when the skin is starved for nutrients, including minerals and vitamins, a person can look old before their time. One of the most interesting things about maintaining the appearance of the skin is that it can and should be done from without and within. For this reason, cleansing the skin regularly and applying various creams and lotions can work wonders, but that’s just one piece of the puzzle. Skin must be nourished from within too, so diet plays a major role. Ideally, people would be able to get the most important vitamins, minerals and nutrients strictly from the foods they eat. However, most people don’t have perfectly balanced diets, so it’s not unusual for them to fall short on vitamins and minerals that a crucial part in skin health. What Can You Do To Maintain Healthy Skin? Fortunately, there are plenty of ways to ensure that the right minerals and vitamins are being consumed to facilitate healthy, attractive, youthful-looking skin. Shifting the focus from processed foods to fresh, whole foods, including fruits, vegetables and whole grains, can make a major difference. Even then, however, it can be difficult to get enough of the right vitamins and minerals. 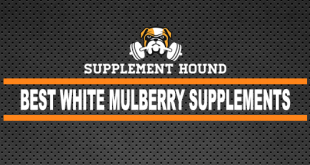 That’s where supplements come into play. Following a healthy lifestyle is key, so those who want great skin shouldn’t smoke and should get plenty of exercise and rest. As for maintaining a healthy diet, introducing the right supplements for healthy skin can be enormously beneficial. 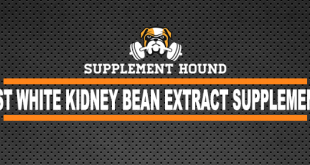 Of course, not all supplements are created equal. By understanding which vitamins and minerals have the strongest impact on skin health and appearance, it’s easier to choose the right supplements. Selenium is a mineral that’s found in the soil as well as in the water and some foods. Although only a very small amount is needed to maintain health, having low levels of selenium can be disastrous to the skin. 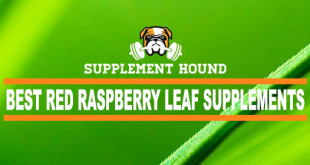 It plays a key role in regulating the metabolism and is best known for its antioxidant properties, which help the body fight off harmful free radicals. 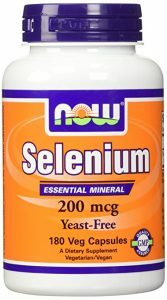 As far as skin health is concerned, selenium supplements can help to slow down signs of aging. They also help to treat acne symptoms. With enough selenium in the body, circulation is improved. In turn, the texture and color of the skin is improved as well. The recommended daily allowance of selenium for an adult is 55 micrograms. Selenium deficiencies are rare, but a daily selenium supplement can enhance the benefits it has on the skin. Silica is the chemical name for quartz, which is otherwise known as silica dioxide. Silica is produced by the body and is naturally present in the skin, teeth and bones. One of this mineral’s most important functions is to maintain a balance between magnesium and calcium in the body, but it plays a key role in skin health too. 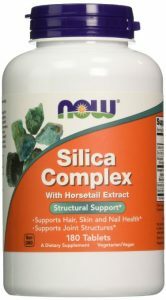 Silica has been shown to boost collagen production. Collagen plays a key role in helping the skin stay smooth, firm and wrinkle-free. It’s fairly unusual for people to have silica deficiencies because the mineral is found in water, root vegetables, whole grains and many other foods. Still, adults are advised to take in at least 55 mg per day, so supplements are excellent options. By taking a daily silica supplement, people can give their skin the boost it needs to stay firm and young-looking. Most people are well aware of the crucial role that calcium plays in the bones and teeth, but it’s also essential for healthy skin too. This mineral regulates many functions of the epidermis, which is the outermost – and visible – part of the skin. In the epidermis, calcium regulates the speed at which new skin cells are produced and the speed at which dead skin cells are sloughed away. When calcium levels are too low, the skin can become dry, thin and fragile. In addition to regulating skin cell production, calcium helps to boost the production of sebum, which is an oil that shields the skin and helps it retain moisture. According to the National Cancer Research Institute, calcium also regulates pigment cells in the skin and may help to shield it from harmful UV rays. Calcium is present in milk, soybeans, spinach, sardines and many other foods, but a calcium supplement can help an adult take in the daily recommended amount of 1,000 mg.
Vitamin B3, which is otherwise known as niacinamide, plays a critical role in maintaining the appearance of the skin. In the body, two enzymes – NADPH and NADH – help to protect the skin and promote the generation of new skin cells. As people age, their levels of these key enzymes begin to decline. 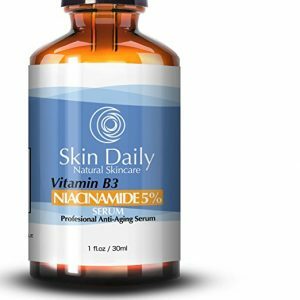 One of the best ways to slow down the decline of NADPH and NADH is by taking in enough vitamin B3. Therefore, taking a vitamin B3 supplement can help to ward off the signs of aging. There are other advantages as well. B3 shields the skin from irritants and pollutants and promotes the production of natural emollients that help keep the skin hydrated. Vitamin B3 supplements can be taken orally or applied topically, and using them daily can work wonders for the health and appearance of the skin. Many different fatty acids fall into the omega-3 category, but one is of particular importance when it comes to skin health: eicosapentaenoic acid, which is otherwise known as EPA. EPA helps to hydrate the skin, protects it from damage and regulates oil production. 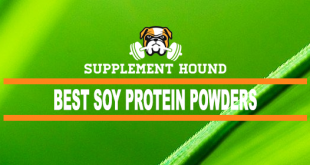 It’s also well-known for its ability to repair skin that’s been damaged by the sun and does so by preventing the release of collagen-destroying enzymes. Omega-3 fatty acids also have great anti-inflammatory properties that may be beneficial for conditions like psoriasis, rosacea and eczema. 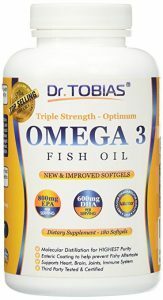 Omega-3 fatty acids are present in foods like walnuts, wild rice, edamame and fish, but the best way to ensure that enough is consumed is by taking a daily omega-3 supplement. 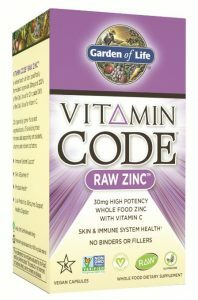 For centuries, zinc has been prized for its ability to heal wounds and to repair damaged tissue. It’s used topically to treat everything from acne to skin sores because it promotes skin cell production. It’s also often found in sunscreens in the form of zinc oxide, which helps to protect the skin from harmful UV rays. Without enough zinc, the skin becomes more susceptible to sun damage and has an impaired ability to repair itself, so minor scrapes and wounds linger, and issues like acne become much worse. Although zinc is present in many everyday foods, including eggs, beans, whole grains, red meat and dairy, many people do not get enough of it in their diets. Luckily, there are plenty of zinc supplements out there. Some are taken orally while others are applied topically. In either case, having enough zinc can help to maintain healthy, youthful, glowing skin. Vitamin E is one of the most powerful antioxidants out there. When it comes to skin health, it works to fight back against free radicals that cause dryness, fine lines and wrinkles and that damage all-important collagen. Vitamin E is highly effective at neutralizing these free radicals, so it’s crucial to maintain adequate levels of the vitamin in the body. 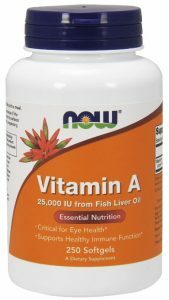 Unfortunately, the body can’t produce vitamin E. While it’s present in foods like almonds, sweet potatoes, asparagus, vegetable oils and spinach, people often struggle to take in the daily adult recommended allowance, which is 15 mg. A high-quality vitamin E supplement can help to maintain levels of this crucial vitamin in the body. In addition to helping the skin stay hydrated and smooth, vitamin E may help it become less susceptible to sunburns. Still, it is not intended to take the place of sunscreen. When the link between scurvy and vitamin C deficiency was discovered, sailors stopped having to worry about nasty symptoms like ulcers and bleeding beneath the skin. Vitamin C, or ascorbic acid, plays a pivotal role in the production of collagen, which explains why this type of deficiency can be so disastrous. As long as there are adequate amounts of vitamin C in the body, the skin is more likely to stay strong and firm, and it is better able to repair itself too. Vitamin E also slows free radical damage to ward off dry skin, fine lines and wrinkles. Vitamin C is present in foods like citrus fruits, broccoli and tomatoes. 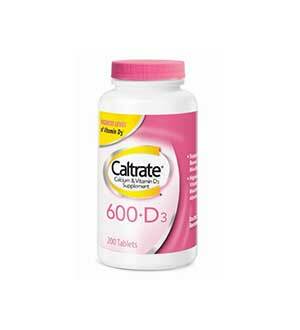 With a daily recommended adult allowance of 500 mg, however, many people struggle to maintain adequate levels. 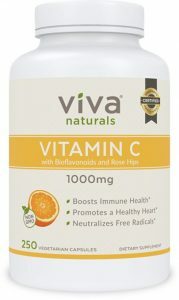 To ensure optimal skin health, it pays to take a daily vitamin C supplement. 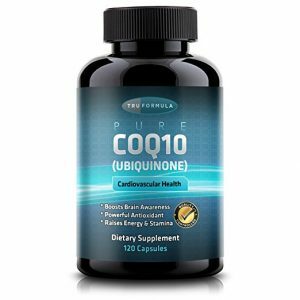 COQ10, or coenzyme Q10, is similar to a vitamin, and it’s present in every cell in the body. 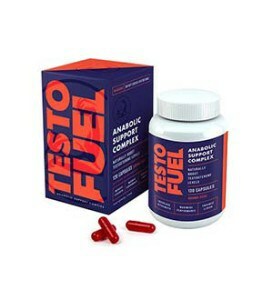 As an antioxidant, it works to counteract the damaging effects of free radicals. Although the body makes it, its levels begin to drop off with age. This is largely why people’s skin often becomes saggy and wrinkled as they get older. By adding a COQ10 supplement to the diet, it’s possible to preserve stores of collagen and elastin in the skin. In turn, the skin remains smoother and healthier looking even in advanced age. Many foods contain COQ10, including soy oil, peanuts, organ meats, beef and sardines. However, an easier way to maintain COQ10 levels in the body is by taking a daily supplement. Many skin creams and lotions are fortified with COQ10 as well, and there are benefits to applying it topically. Vitamin A, which is otherwise known as retinol, is beneficial to the skin in many ways. It helps to promote cell turnover, which means that it promotes the growth of new skin cells and the sloughing of old, dead ones. For people who are prone to breakouts, vitamin A can be very effective in that it prevents the formation of comedones, which are a driving force behind acne. When there’s not enough vitamin A in the body, the skin may become rough, dry and scaly. The first sign of a deficiency is typically the development of tiny bumps on the backs of the arms. Because vitamin A helps to stimulate and thicken the dermis and promotes the production of elastin and collagen, it helps to reduce wrinkles and fine lines and helps the skin stay strong, resilient and smooth. It’s also a powerful natural exfoliator. While vitamin A is present in foods like egg yolks, liver, butter and cream, vitamin A supplements are optimal for those who are concerned about the health of their skin. Topical and oral applications are available. When skin issues arise, the first place to look is the diet. Oftentimes, mineral and vitamin deficiencies are to blame. With that being said, adding these vitamins and minerals to the diet with supplements works well, but it’s not a magic bullet. It can take several months before any major improvement is noticed. 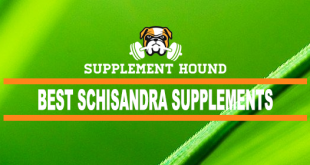 Therefore, people who want to introduce supplements to their diets for things like vitamin A, zinc and selenium should try to be patient. 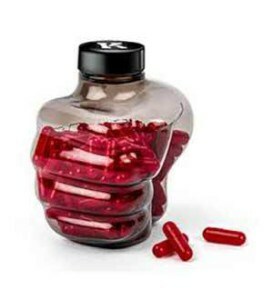 Many people understandably don’t want to take dozens of supplements per day. Fortunately, there are supplements out there that are designed for skin health, and they often contain the recommended daily allowance of several crucial vitamins and minerals. 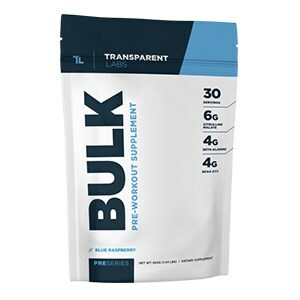 When combined with high-quality creams and lotions, these supplements can improve and maintain the appearance of the skin in a very effective way.